The Westcott Apollo 4' x 4' Softbox is compatible with any monolight with an umbrella rod insert or with any flash with an umbrella accommodating bracket. 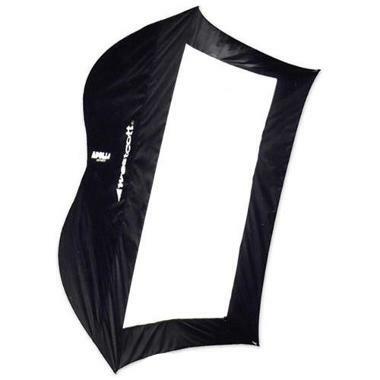 This softbox folds down umbrella-style and when deployed it takes on a square shape. It is extremely lightweight, easy to use, and good for small groups of 3-4 people. • This softbox deploys like an umbrella and does not require a speedring. • This softbox is not recommend for monolights with a W/s strength of 750 or more and is too shallow for White Lightning flashes. • A light stand is not included with this rental.